Dr. Mohammed Al-Mossawy has more than twenty years of academic experience (teaching and supervising research projects). He worked at several universities in different countries. 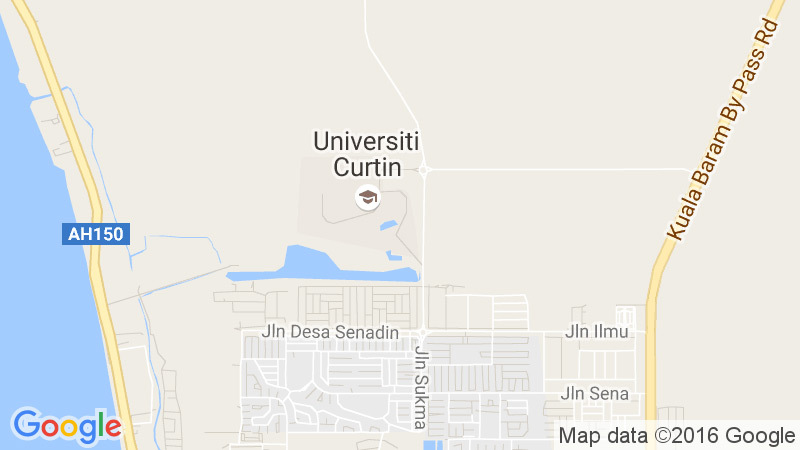 He worked at University of Basrah/Iraq, Bright Star University of Technology/Libya, Al-Tahadi University/Libya, Universiti Teknologi PETRONAS/Malaysia, Basrah University for Oil and Gas/Iraq, and currently at Curtin University/Malaysia. Dr. Mohammed had attended professional courses about teaching according to Outcome Based Education (OBE) structure at Universiti Teknologi PETRONAS/Malaysia and Curtin University/Malaysia. He has been teaching different subjects at levels of engineering foundation, and petroleum engineering for undergraduate and graduate studies. • Ph.D. Petroleum Engineering, 2012 – Universiti Teknologi PETRONAS, Perak – Malaysia. • M.Sc. Petroleum Engineering, 1991 – University of Baghdad, Baghdad-Iraq. • B.Sc. Petroleum and Mining Engineering, 1985 – University of Baghdad, Baghdad-Iraq. 1. Memon, M. K., Elraies, K.A., and Al-Mossawy, M.I., “Impact of New Foam Surfactant Blend with Water Alternating Gas Injection on Residual Oil Recovery”, Journal of Petroleum Exploration and Production Technology, DOI 10.1007/s13202-016-0303-1, Nov. 2016. 2. Al-Mossawy, M.I., Demiral, B., and Raja D.M.A., “A Relative Permeability Model to Derive Fractional-Flow Functions of Water-Alternating-Gas and Surfactant- Alternating-Gas Foam Core-Floods”, Journal of Geophysics and Engineering, vol. 10, (2013) 025010. 3. Al-Mossawy, M.I. and Demiral, B., “Duration of the Transient Pressure of Liquid Core Flooding”, Journal of Geophysics and Engineering, vol. 9, no. 1, pp. 75-81, Feb. 2012. 4. Al-Mossawy, M.I. and Demiral, B., “An Improved Relative Permeability Model to Match Displacement Experiments”, International Journal of Applied Science and Technology, vol. 1, no. 2, pp. 41-58, April 2011. 5. Al-Mossawy, M.I., Demiral, B., and Raja D.M.A., “Foam Dynamics in Porous Media and Its Applications in Enhanced Oil Recovery: Review”, International Journal of Research and Reviews in Applied Sciences, vol. 7, no.4, pp. 351-359, June 2011. Irbid, Jordan, vol. 8, no. 1, pp. 37-51, 1999. 7. Hasan, M.I. and Al-Mossawy, M.I., “Effect of the Drainage System Conditions and the Flow Capacity on the Reservoir Pressure”: Journal of Al-Muhandis, Iraqi Engineers Union, Baghdad, Iraq, vol. 121, pp.37-43, 1995. 8. Memon, M. K., Elraies, K.A., and Al-Mossawy, M.I., “Controlling Gas Mobility in Water- Alternating-Gas Injection by Surfactant Blend Formulations,” Proceedings of the 4th International Conference on Integrated Petroleum Engineering and Geosciences, 15-17 August 2016, Kuala Lumpur, Malaysia, Springer Nature Singapore Pte Ltd. 2017, DOI 10.1007/978-981-10-3650-7, pp 195-203. 9. Agnia, A., Algdamsi, H.A., and Al Mossawy, M.I., “Oil -Water Relative Permeability Data for Reservoir Simulation Input, Part-I: Systematic Quality Assessment and Consistency Evaluation,” Proceedings of the International Petroleum Technology Conference, 10-12 December 2014, Kuala Lumpur, Malaysia, SPE, IPTC-18132-MS.
10. Al-Mossawy, M.I. and Demiral, B., “A Poroperm Function to Evaluate the Dynamic Pore Connectivity of Porous Media,” Proceedings of the 72nd EAGE Conf. & Exhibition incorporating SPE EUROPEC, 14-17 June 2010, Barcelona, Spain. 11. Al-Mossawy, M.I. and Demiral, B., “Duration of Transient Pressure of Single Phase Flow in Porous Media,” Proceedings of the 1st International Conference on Integrated Petroleum Engineering and Geosciences, 15-17 June 2010, Kuala Lumpur, Malaysia. 12. Al-Mossawy, M.I., Demiral, B., and Raja DM A., “Studies and Field Applications of Foam in Enhanced Oil Recovery,” Proceedings of the 11th Mediterranean Petroleum Conf. & Exhibition 23-25 Feb., 2010, Tripoli, Libya. 13. Al-Mossawy, M.I., Tabar, E.M., Nasar, A.O., and Salem, A.M., “Analyzing Pressure Buildup Tests Using MS Excel,” Proceedings of the 9th Mediterranean Petroleum Conf. & Ex. 7-9 Feb. 2006, Tripoli, Libya. 14. Al-Mossawy, M.I., and Al-Jazwi, S.A., “Determination of Oil in Place using a Simple Empirical Equation,” Proceedings of the 9th Mediterranean Petroleum Conf. & Ex., 7-9 Feb. 2006, Tripoli, Libya. 15. Al-Mossawy, M.I., “A Simple Technique to Program Analysis of the Pressure Buildup Test,” Proceedings of the 2nd Jordanian Conf. of Chemical Engineering, 2-4 Sept. 1996, Jordan University of Science and Technology, Irbid, Jordan. 16. Al-Mossawy, M.I., “Inflow Performance Relationships for Oil Wells Producing from Combination Water/Solution-Gas Drive Reservoirs,” paper presented in the Second Scientific Conference of Babylon University, April 23-25, 1996, Babylon/ Iraq. Dr. Mohammed Al-Mossawy has six years of practical experience in reservoir engineering labs at different organizations. He worked with PETRONAS Research Sdn. Bhd. (PRSB)/ Malaysia. Last position was Staff Researcher (Reservoir Technology Specialist). During this occupation, Dr. Mohammed has led two EOR research projects for Malaysian oil fields; Guntong and West Lutong, as well as he was involved in four other projects for fields K-5, Tapis, Baraonia, and Samarang. He has designed and conducted lab work and data analysis for conventional core analysis, special core analysis (SCAL), PVT analysis, and EOR core-flooding experiments. 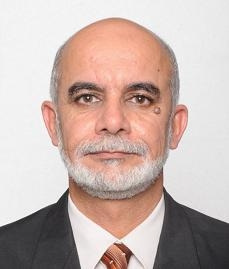 Dr. Mohammed has worked as a researcher with Basrah Oil Company (formerly South Oil Company)/ Iraq and he had presented two research studies in reservoir engineering in collaboration with the company staff. He had attended industry training courses at Basrah Oil Company/ Iraq, PETRONAS/ Malaysia, and NExT-Schlumberger/UAE. Also, he has worked as a Pipeline Instructor for staff of Lukoil Mid-East Limited in Basrah/ Iraq. During his PhD course, Dr. Mohammed has conducted lab study on foam flow in porous media at EOR Center of Research, Universiti Teknologi PETRONAS/Malaysia. • Society of Petroleum Engineers (SPE). • Union of Iraqi Engineers.